Allen finished fourth among linebackers in bench press and tied for ninth in the 20-yard shuttle. Jones also tied for ninth among all linebackers in the broad jump. Benching day for the defensive backs, Darius West tied for fifth in his position group with 19 reps of 225 pounds. Lonnie Johnson recorded 15, Derrick Baity finished with 10, while Mike Edwards was sidelined by an injury. Their combine journey will conclude tomorrow with on-field drills beginning at 9:00 am. Lonnie Johnson knew he would be tested at the NFL Combine, however, he could not be prepared for one test he received from an NFL team. 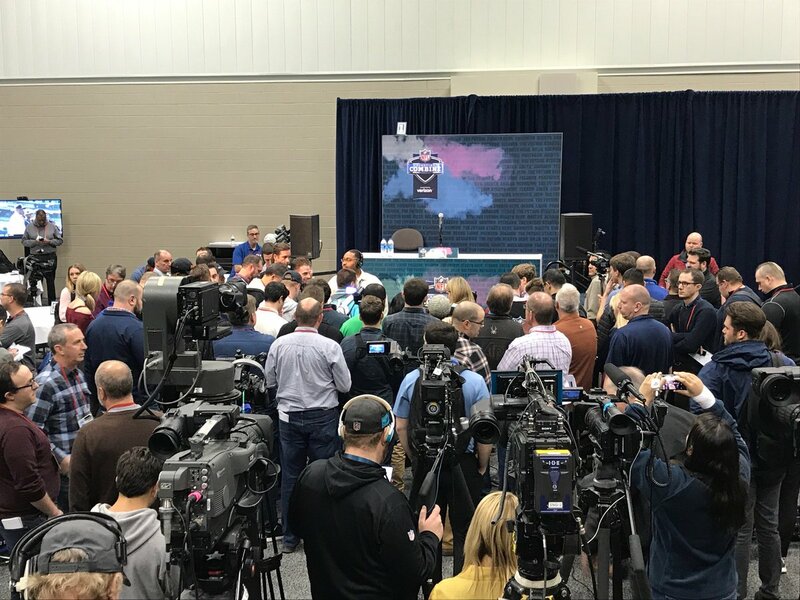 Johnson met with 14 teams over his first two days at the Combine. Sunday night he’ll meet with 14 more NFL teams. So far he’s had one crazy interaction. Bouncing from meeting to meeting, the former Kentucky cornerback had to do something much different in a meeting with the Seattle Seahawks. The Super Bowl XLVIII champs asked Lonnie to compete in a staring contest. He happily obliged. Tomorrow Johnson will compete in drills he actually prepared for when on-field drills commence at 9:00 am on the NFL Network. Benny Snell’s performance in the 40-yard dash will not be turning any heads in Indianapolis. At the NFL Scouting Combine the former Kentucky running back unofficially ran a 4.65 and a 4.67 40-yard dash. Only two other running backs*, Georgia’s Elijah Holyfield and Wisconsin’s Alec Ingold, posted slower times than Snell. * Once official times were posted, LSU’s Nick Brossette and Boise State’s Alexander Mattinson also fell behind Benny. Snell’s official combine time is 4.66. On paper, it doesn’t look good for Benny. In reality, little has changed. If Snell hit a 4.5, he could have moved up a few teams’ boards. If he fell to 4.7, it might make a few teams reconsider. Snell met expectations. As a short-yardage, power back, he does not need incredible breakaway speed to be successful in the NFL. Later in the day Snell’s explosiveness will be put to the test in the 3 Cone Drill and the shuttles. Those numbers will have a more significant impact on his draft stock. During receiving drills, Benny did not look bad at all. If Snell does not exceed his expectations today or at UK’s Pro Day, his film should speak for itself. “All my three years at Kentucky, I never got hurt. A lot of running backs can’t say that,” Snell told reporters yesterday. Austin MacGinnis finally has a home. Kentucky Football’s all-time leading scorer just signed a deal with the Memphis Express of the Alliance of American Football (AAF), according to Paul Sheehy. The Express is 0-3 so far this season, so they could use him. Their roster includes fellow former Cat Kayaune Ross, Zach Mettenberger (LSU), Zac Stacy (Vanderbilt), and Christian Hackenberg (Penn State), the latter of which was benched for Mettenberger this past weekend. On Saturday, the Express takes on the San Diego Fleet at 8 p.m. ET on the NFL Network. An AAF contract isn’t as good as an NFL contract, but it might lead to one, right? Congrats, Austin. After countless headlines, outbursts, departures, returns, and official statements made by the University of Kentucky, former UK offensive lineman EJ Price has found a new home. 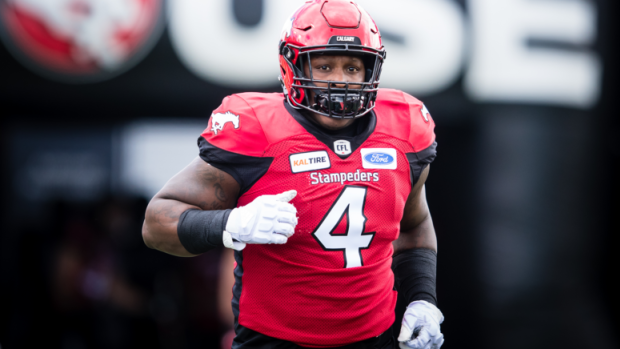 Today, we found out that the opportunity he was seeking was a job in professional football for the Saskatchewan Roughriders of the Canadian Football League. Price played in 13 games for the Wildcats with 11 starts, his first coming in Kentucky’s historic victory over Florida. The 6-foot-6, 305-pound lineman started his career at the University of Southern California before transferring to Kentucky after his first year (redshirt) with the school. He was forced to sit out the 2017 season due to NCAA transfer rules. With Price playing in the CFL, Kentucky redshirt junior Landon Young will take back the starting left tackle position while sophomores Naasir Watkins and Darian Kinnard will compete for the starting job at left tackle.